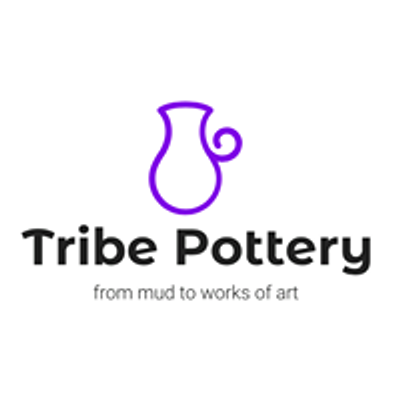 Come see what all the fuss is about, and throw your very own mug or bowl on the potters wheel. No previous expereince necessary - you will be shown and guided. 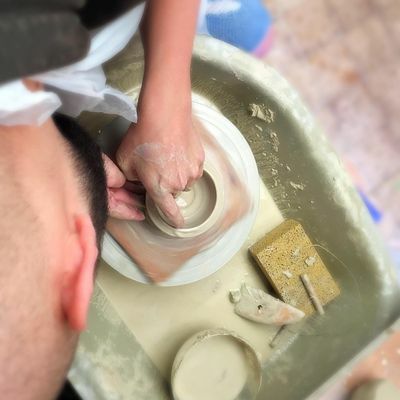 Specifically tailored to introduce you to the art of throwing pots on the potters wheel, you will be shown how to use the wheel and how to throw pots. You will be shown a demonstration then its your turn to get your hands dirty. You'll get to make as many items as you like. Includes a generous amout of clay, materials, tool use, wheel use, personal tuition and post production costs: glazes and two kiln firings. Price is per person. Two wheels available. Finished items will be available to collect from the studio 8-12 weeks after the event. Whilst I'm happy to advise and offer an ability rating for each course intended as guidance, it is ultimately your responsibility to decide whether a session is suitable or not. All bookings are subject to these booking conditions. If you are unsure whether a certain course is suitable for you, please ask and I will guide you. Cancellation terms apply as below. 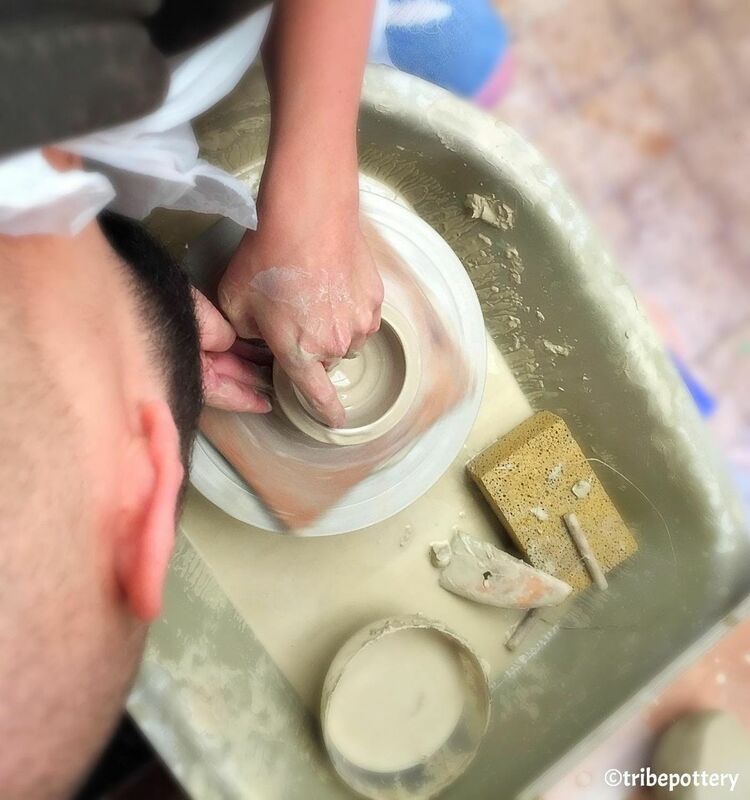 CLAY HEALTH & SAFETY: do not book or attend pottery lessons/workshops if you are allergic to, or react in any way to clay or glazes. All glazes used are lead-free. An apron is supplied and must be worn to avoid clothes getting soiled. Do cut long nails down to a short length and tie long hair up, away from face. All tools and equipment used at your own risk.